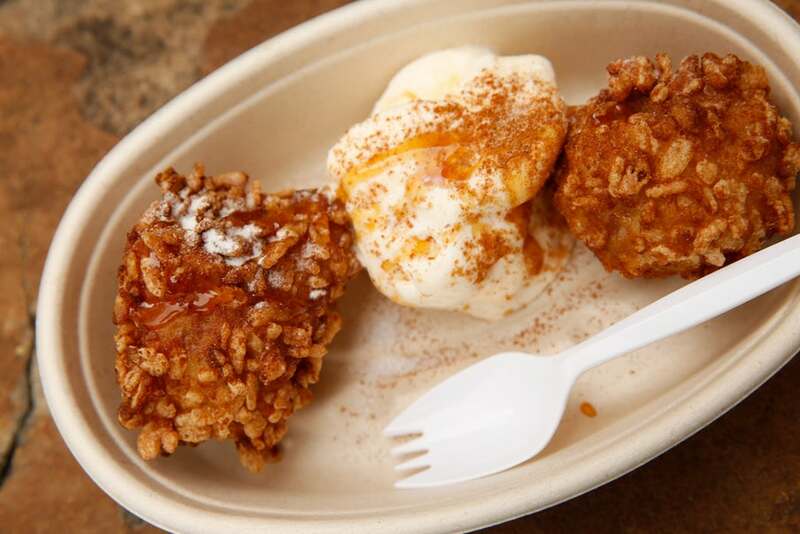 The State Fair of Texas – Only 10 More Days! 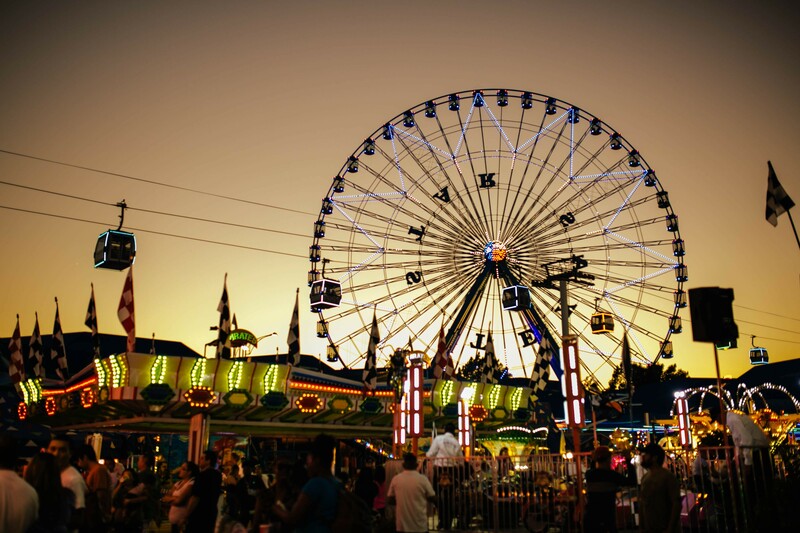 There’s only 10 days left for The State Fair of Texas! If you haven’t been it’s not too late to go this year, the fair’s last day is October 21, 2018! If you’ve never been – don’t miss out on one of the country’s best and most highly attended state fairs. You’ve been before – go make some new memories with your family like my family did every year while my sons were growing up! 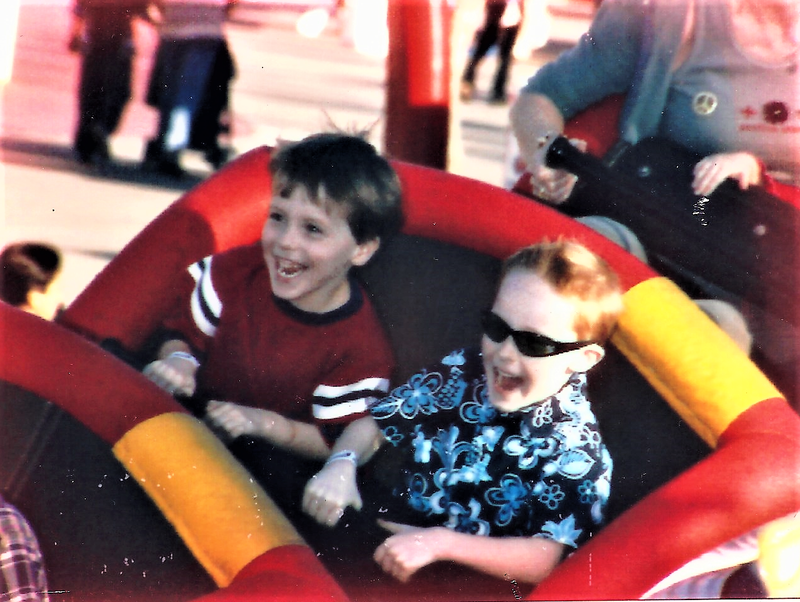 My sons riding one of their favorite rides at the Fair 16 years ago! I think the smiles say it all! 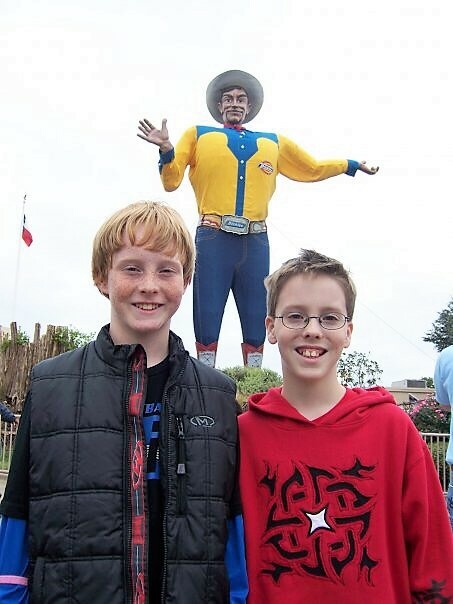 It’s an old and slightly blurry photo but it’s one of my favorite photos of my sons, Jack and Jared. The fun they were having over a decade ago is timeless and are memories that I treasure. Going to the State Fair was a family tradition that we did every year with our guys and a day that we all looked forward to. 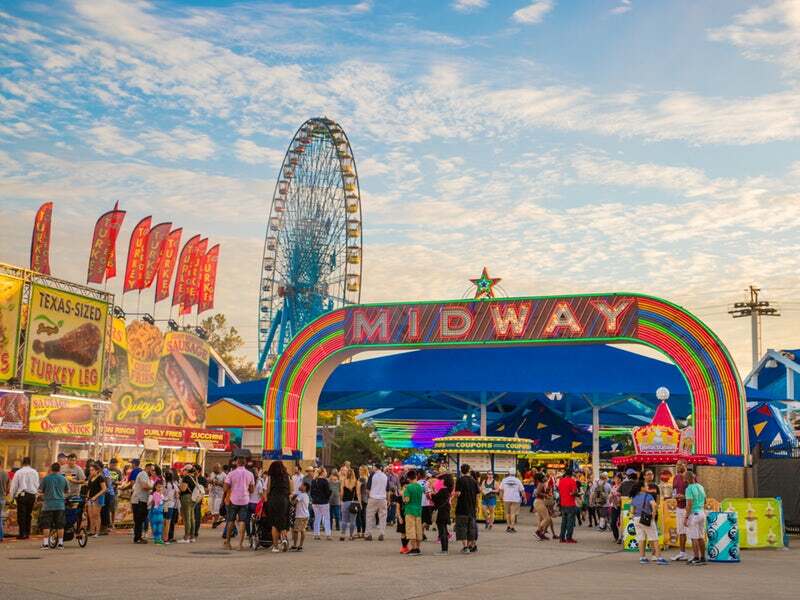 From the creative and crazy food concoctions that you can only get at the State Fair (like Bacon Brittle) to riding one of the biggest Ferris Wheels in the country or trying your luck on the Midway, there is something for everyone at The State Fair of Texas! Time Line and Fun Facts about The State Fair of Texas! The State Fair of Texas is an annual state fair held in Dallas at historic Fair Park. The fair has taken place every year since 1886 except for varying periods during World War I and World War II. It usually begins the last Friday in September and ends 24 days later. The State Fair of Texas opened its gates for the first time on October 26, 1886. Approximately 14,000 people attend the opening day. In 1913, the fair introduces the first Automobile building which was filled with 175 vehicles for fair goers to see. In 1921, Boston College beats Baylor at the first game ever played between teams from the southwest and northeast. In 1921, Texas and Vanderbilt start a series which is played here every year from 1921 to 1928 with the exception of 1924. In 1925, the first State Fair Classics played. In 1929, TX-OU play their Red River Rivalry here for the first time. In 1930, construction of a new Fair Park Stadium (now known as the Cotton Bowl) begins. In 1932, TX-OU play their Red River Rivalry for the first time at the new Fair Park Stadium. In 1960, the Dallas Texans (AFL) and the Dallas Cowboys (NFL) play their first season in the Cotton Bowl. Fair goers spent more than $37 million in 2010 which broke the fair’s record. In 2013, The State Fair opened a brand new attraction – a 500-foot observation tower called “Top o’ Texas Tower” – as part of a renovation of part of the Midway called “Summer Adventures at Fair Park. The “Tower” now operates only 24 days a year, despite a construction cost of over $11,000,000. The State Fair also operated Summer Adventures in Fair Park, a beach-themed amusement park from May to August 2013. Despite a $30,000,000 investment in Summer Adventures, the event was shuttered after just one season. Jim Schutze of the Dallas Observer wrote, “The sudden collapse of a $30 million venture has to be some kind of red flag, some indication that it’s time to re-examine the whole thing. In May 2015, the Park and Recreation Board voted unanimously to recommend and approve the Mayor’s Task Force Plan and recommended that underground parking structures be built rather than as initially recommended by the Task Force. Now go and have fun and don’t eat too much!